Are you an INTJ, or an ESFP? ISTP, or ENFJ? Taking the MBTI can cost you anywhere from $15-$40, and for $1,700 you can become a certified test administrator. With nearly 2 million people taking the test annually, it’s estimated that CPP – the company that produces and markets the test – makes close to $20 million off it per year. Wow, it sure sounds legit, right? Too bad the MBTI is essentially meaningless. A lot of this has to do with the way the test was created in the first place. The MBTI is based on ideas about personality that had been put forth by psychologist Carl Jung during the 1920s. Among these ideas was the notion that humans tend to either be “Perceivers” or “Judgers.” Each of these categories could be further split in two – Perceivers might prefer to either sense or intuit, and Judgers could be divided into thinkers or feelers. All of these types could then be divided one last time into being either generally introverted or generally extroverted. Even Jung, however, was careful to note that “Every individual is an exception to the rule,” and that these categories were mere approximations, not absolutes. In the 1940s, housewife Isabel Briggs Myers and her mother, Katherine Briggs, adapted Jung’s ideas into a personality test. Troublingly, neither had any formal training in psychology and learned statistical analysis and test-making techniques from an HR manager at a Philadelphia bank. Their test was devised such that people would get a single possibility in each of the four categories, based on answers to a series of two-choice questions. As a finishing touch, they gave colorful titles like “The Executive,” “The Caregiver,” “The Scientist,” and so on, to each of the 16 possibilities. It’s reported that nearly 50% of people who take the MBTI get completely different results if they take the test again a few weeks later. Sadly, the MBTI doesn’t make this distinction and is built on the basis that people must either be one thing or the other, with very little room for gray areas. For example, it asks questions like “Do you tend to sympathize with other people?” and gives only “yes” or “no” as choices. It’s not hard to see how a person’s answer to a question like that could change depending on how their day might have been going. As another example, imagine being forced to choose exclusively between thinking or feeling – do you know any sane person who only does one and not the other? All of the results of the MBTI are intentionally flattering (and often vaguely applicable to anyone) because it sells more tests. Most damningly, data from the MBTI itself shows that people tend to be more in the middle for any given category, but get pigeonholed into being one or the other exclusively because of the way the test is designed. All of this ambiguity has led to a lot of inconsistency as well. It’s reported that nearly 50% of people who take the MBTI get completely different results if they take the test again a few weeks later. That’s certainly not encouraging for a test that’s marketed by CPP as being reliable and scientifically valid. While there are technically plenty of studies confirming this assertion, it’s important to note that they’ve all been published in journals with dubious standing in the scientific community, and the majority of the research was funded by CPP itself. It’s also interesting to consider that of all the possible results you can get from the MBTI, not one of them mentions common traits like being lazy, selfish, or just plain mean. 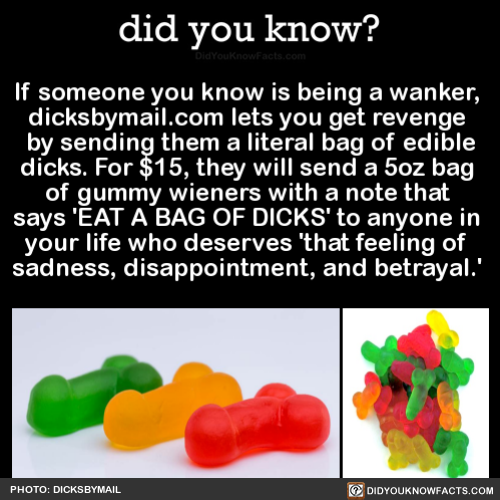 It’s not that these kinds of negative personality traits don’t exist, but if you’d just paid $40 to learn about yourself, you wouldn’t exactly be thrilled by the negativity. All of the results of the MBTI are intentionally flattering (and often vaguely applicable to anyone) because it sells more tests. 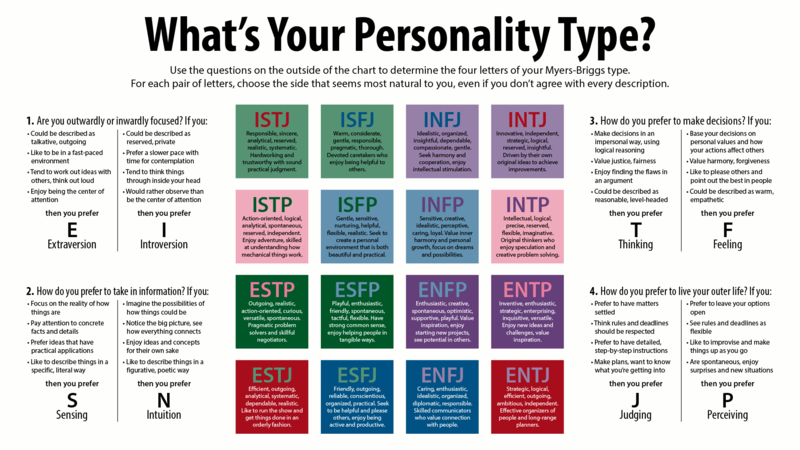 While the Myers-Briggs test was certainly a significant innovation in the early days of psychology, the fact of the matter is that in 2018, we can do a lot better. There are several, much more scientifically valid tests out there, including the “Big Five” personality model which has produced consistent results in testing and has even shown promise predicting job success. At this point in time, the MBTI should be considered in the same light as a horoscope: fun to think about, but hardly valid enough to live by.